Passionate; pragmatic; motivational; results focussed. A powerful and passionate talent to get the best out of everyone. 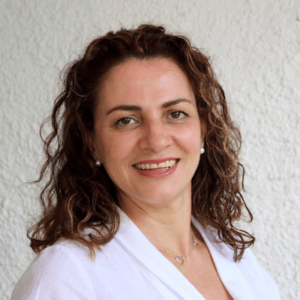 Simonetta combines her extensive experience from her Law Firm Partnership, business administration and development roles, entrepreneurialism and Neural Linguistic Programming (NLP) Master and Training Certifications to help others find and leverage their own talents and passions. Simonetta helps Executives and Senior Management to enhance their leadership and motivational skills whilst enabling a zest for delivery focus. Her work with teams enhances bonds, builds trust and improves productivity. A true performance hero! NLP Practitioner, Master and Trainer; many successful coaching engagements.